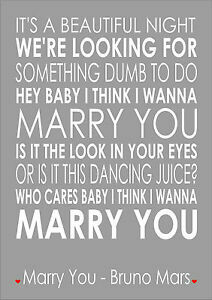 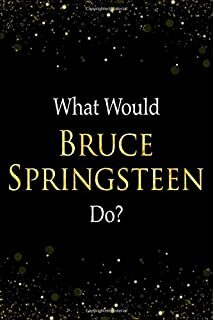 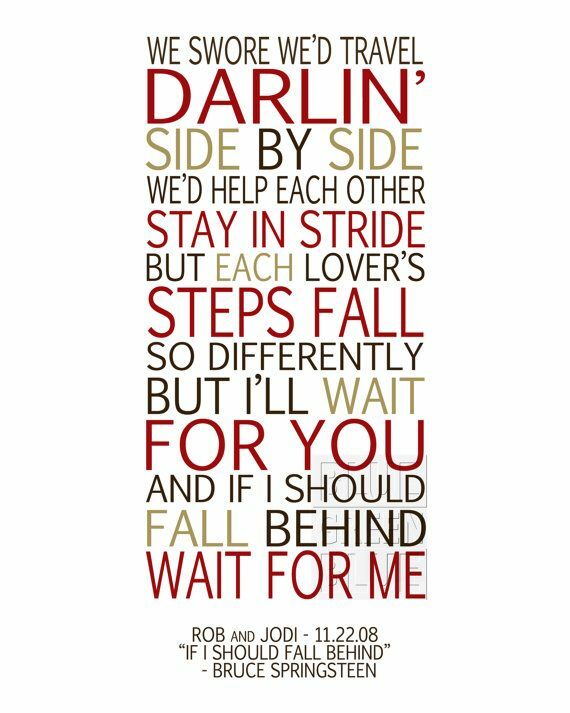 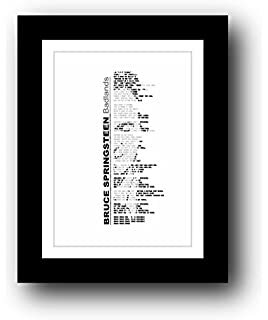 Bruce Springsteen - should I fall behind: Sang this song at our wedding and all lyrics in this song could not be more true or meaningful to this day. 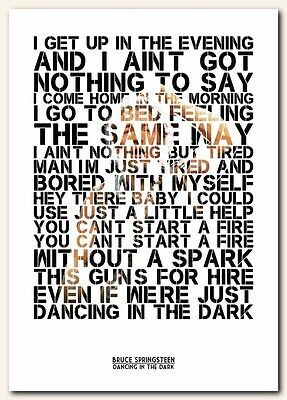 Love this song....can't start a fire / sittin' around crying over a broken heart. 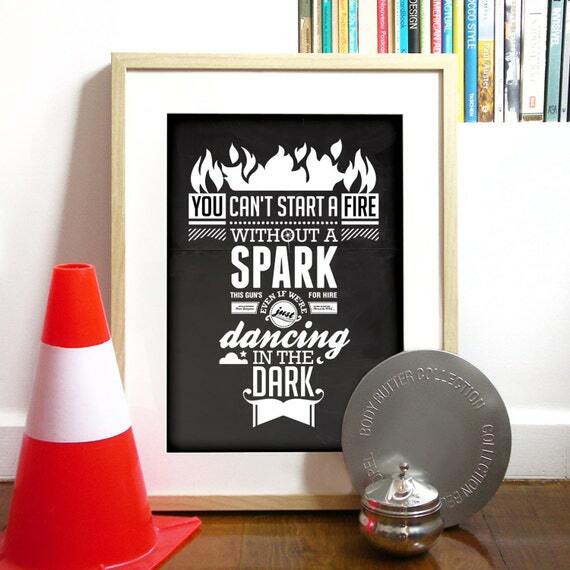 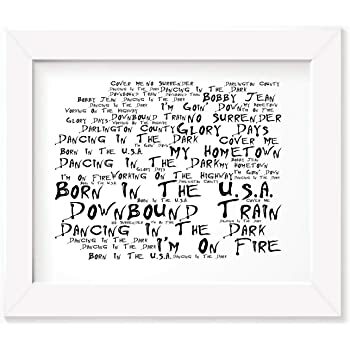 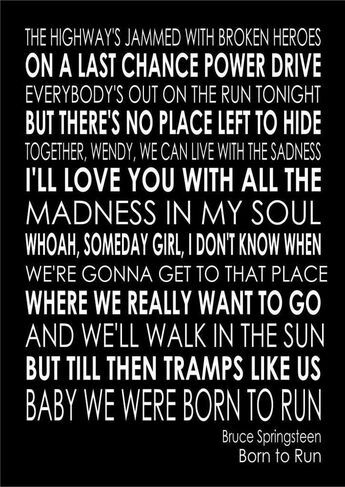 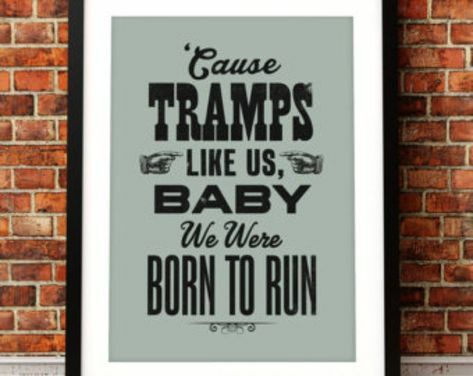 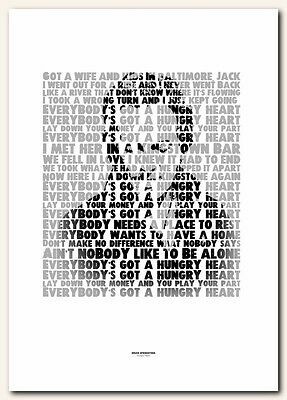 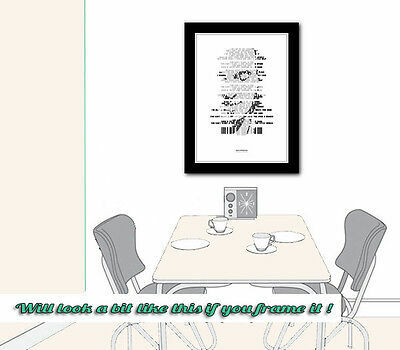 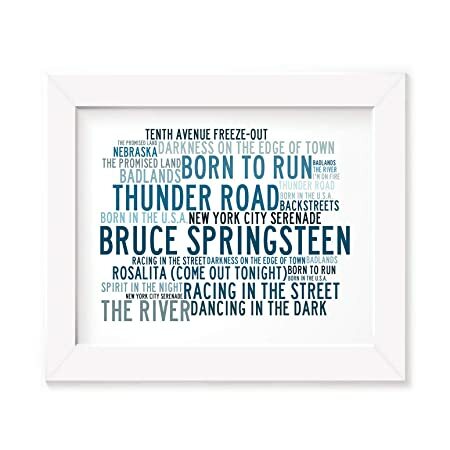 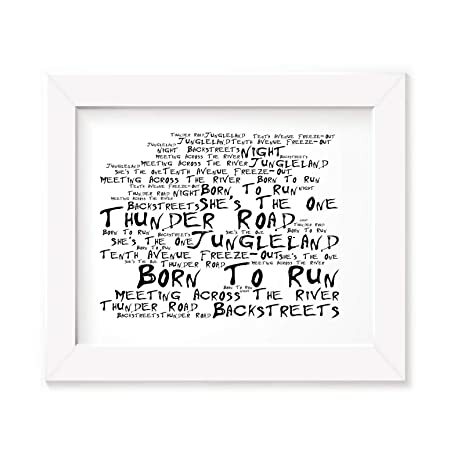 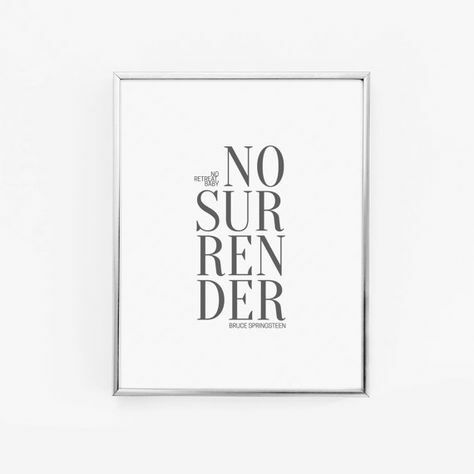 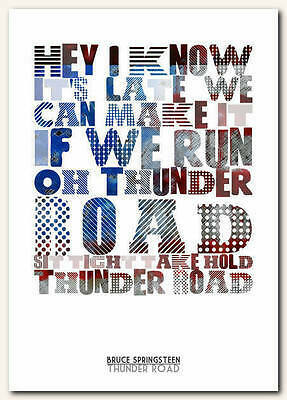 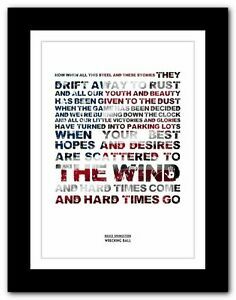 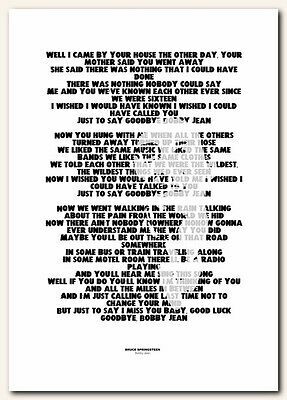 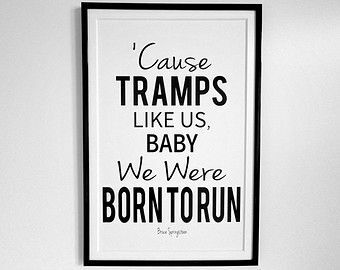 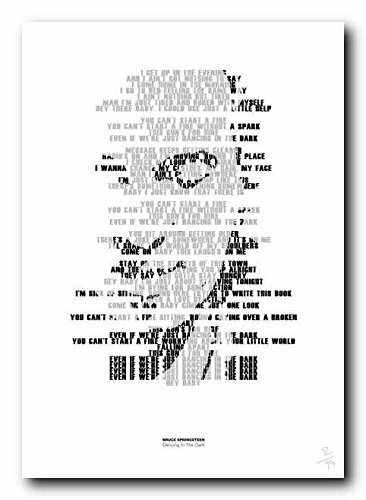 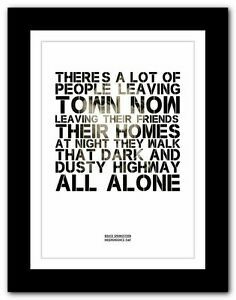 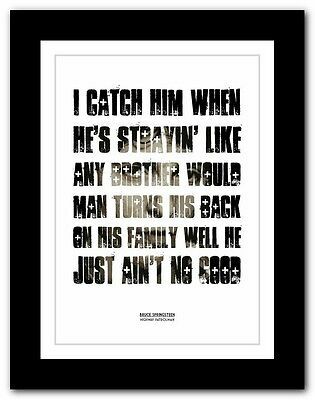 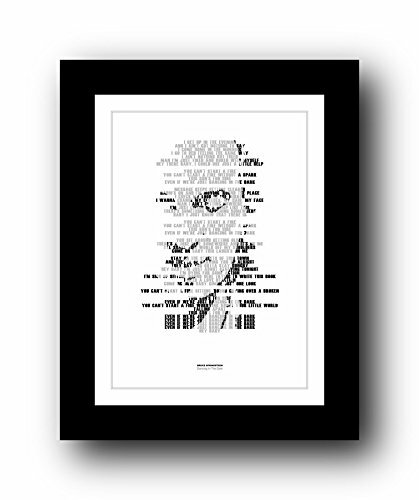 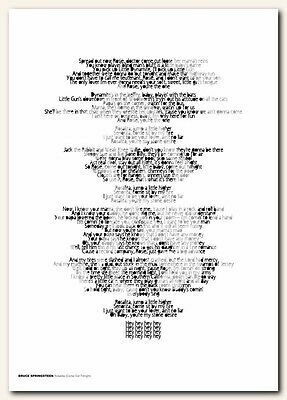 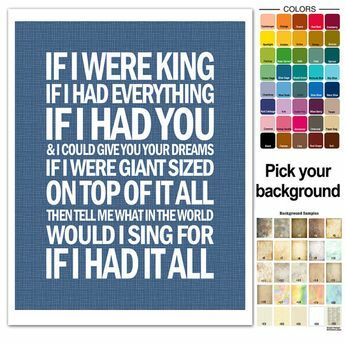 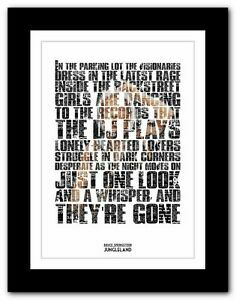 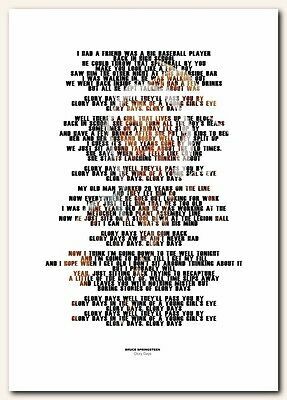 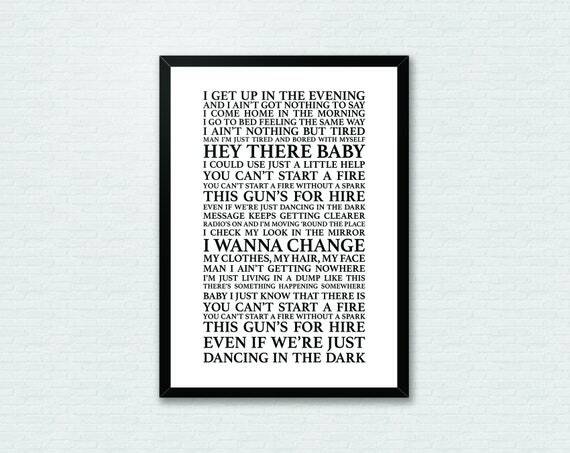 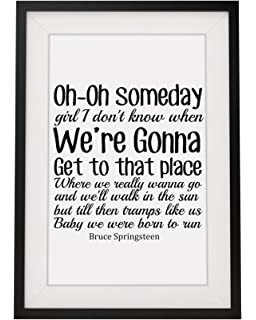 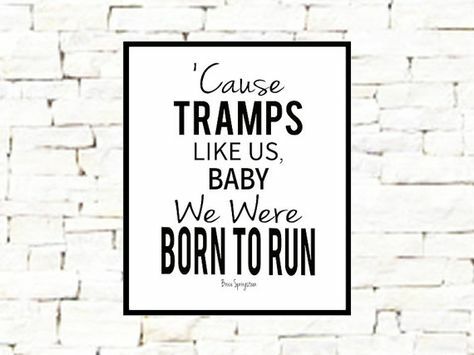 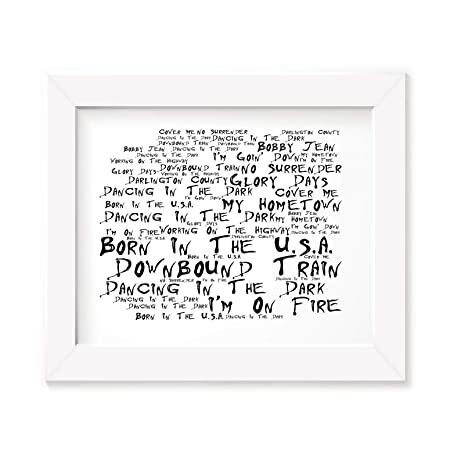 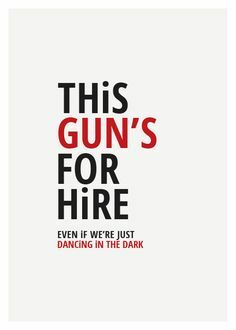 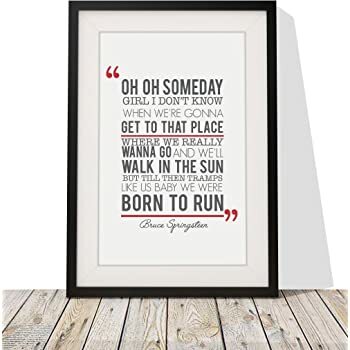 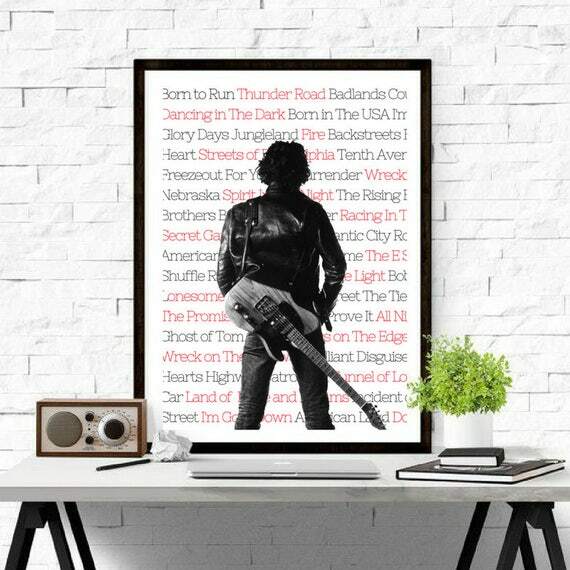 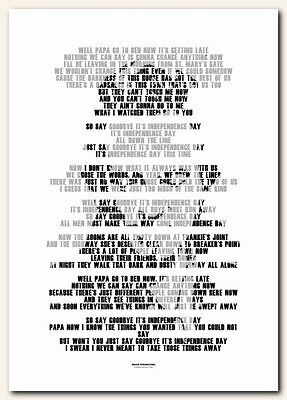 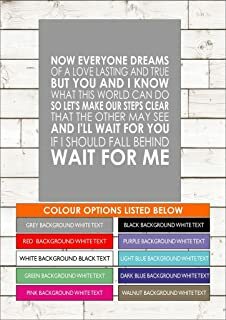 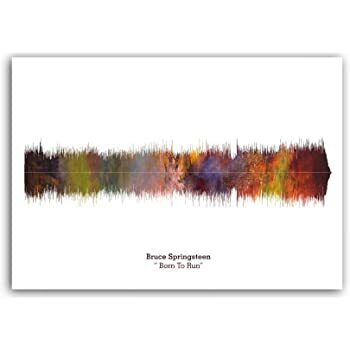 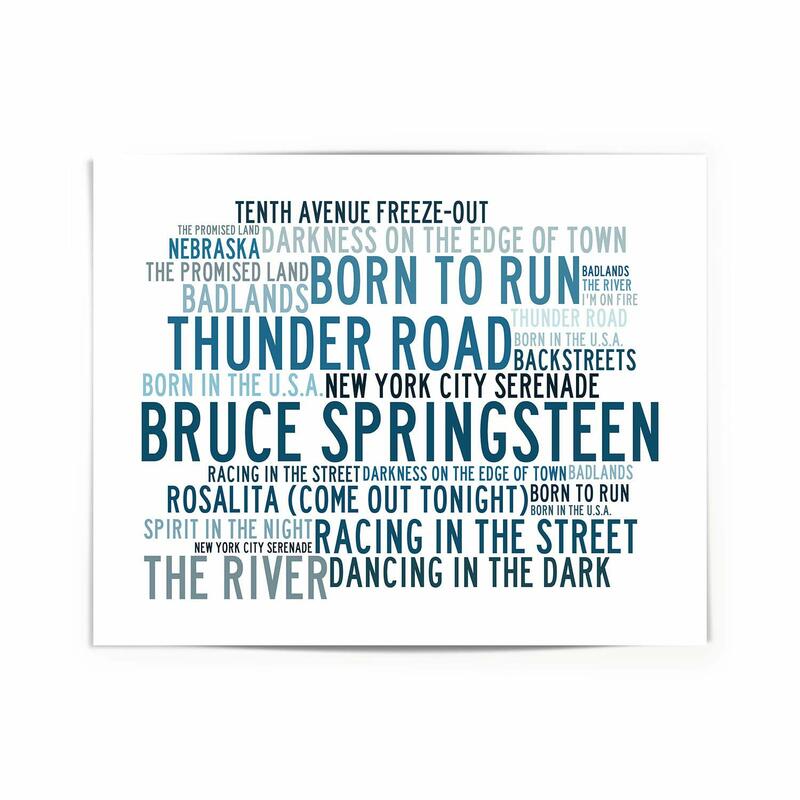 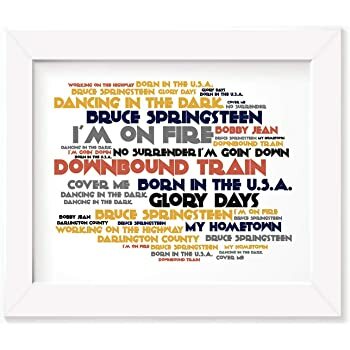 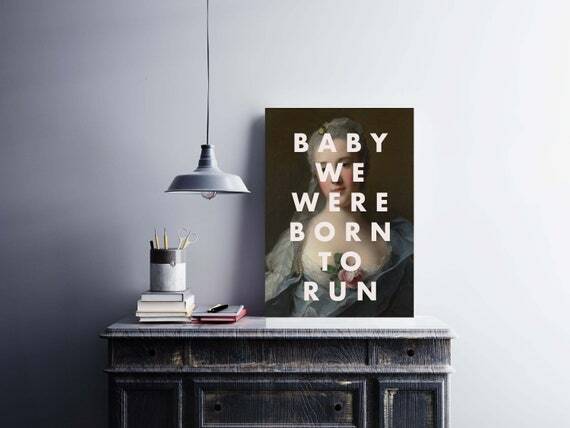 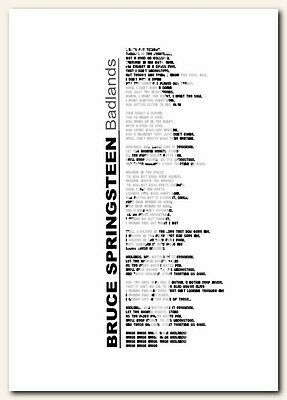 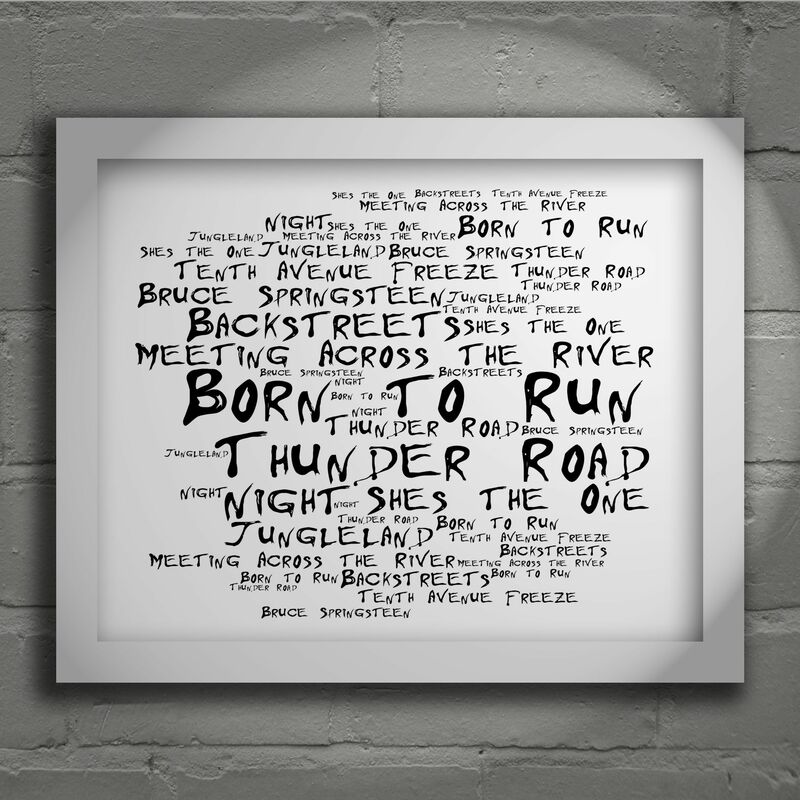 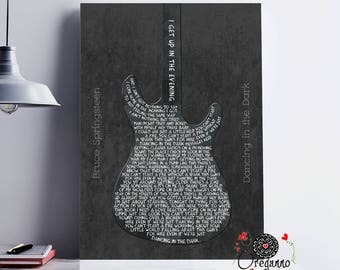 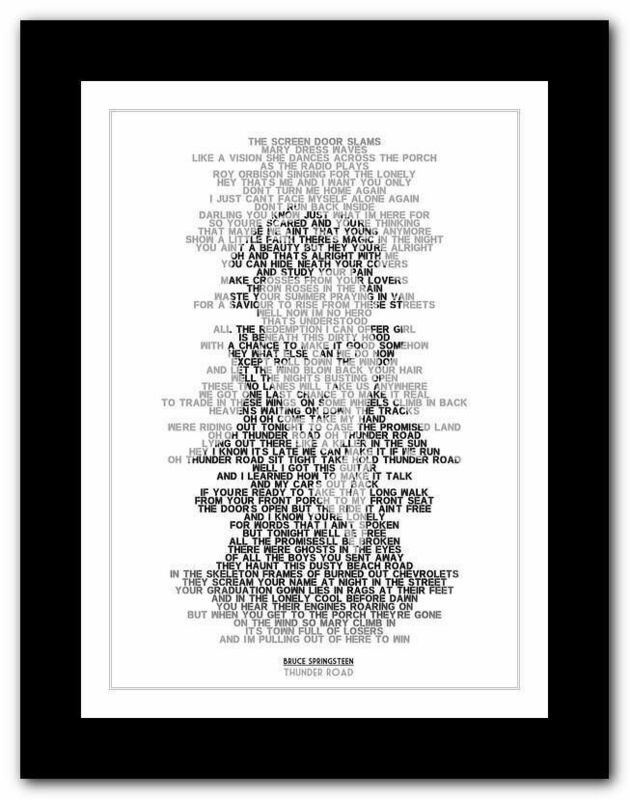 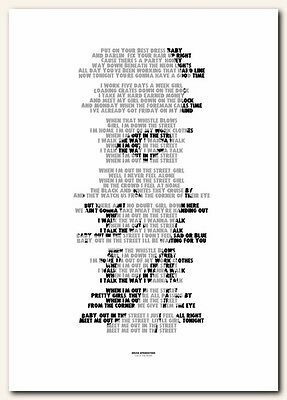 BRUCE SPRINGSTEEN - Thunder Road #4 lyric poster typography art print - 4 sizes in Music, Music Memorabilia, Indie/ Britpop | eBay! 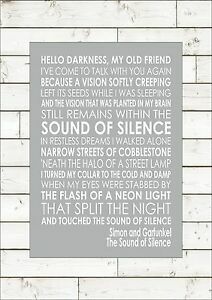 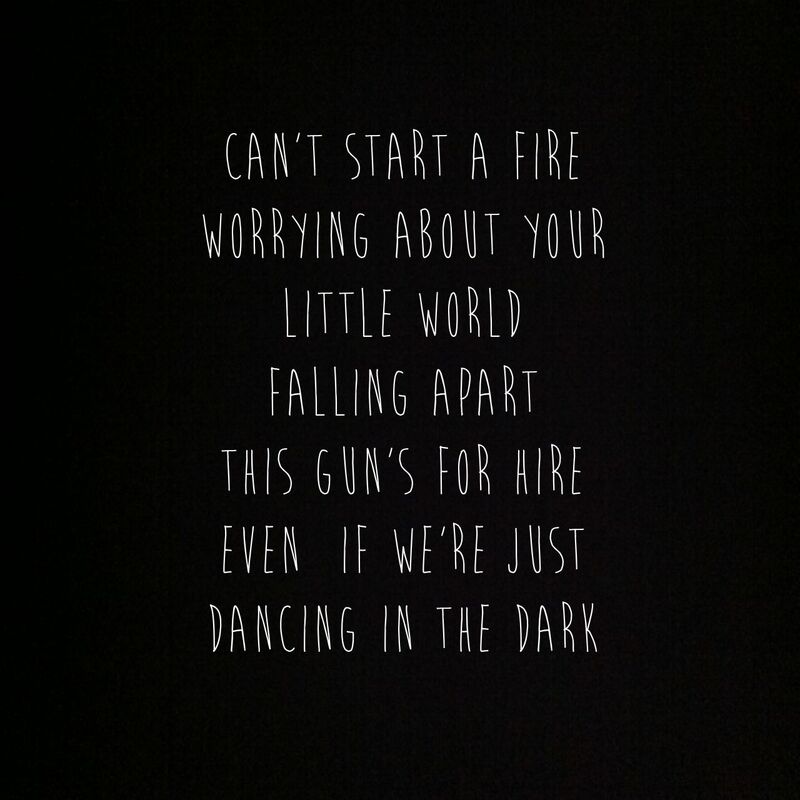 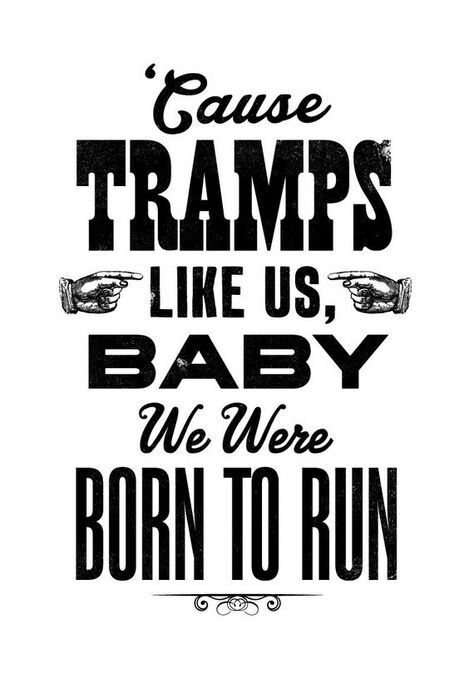 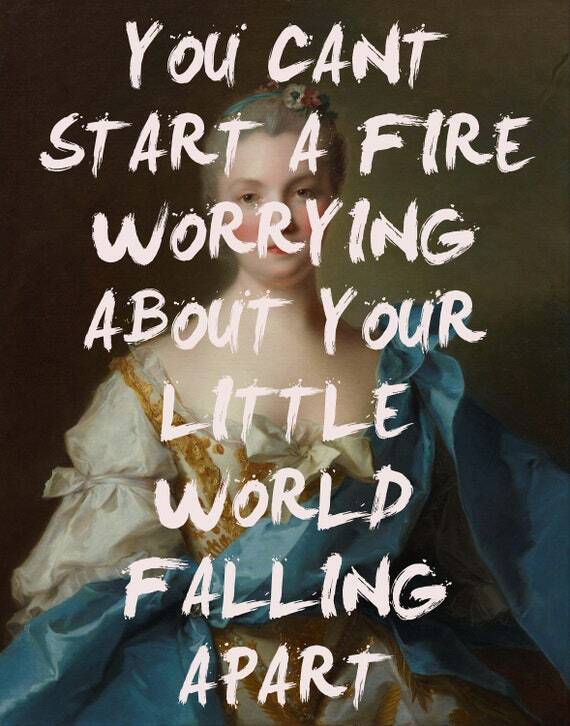 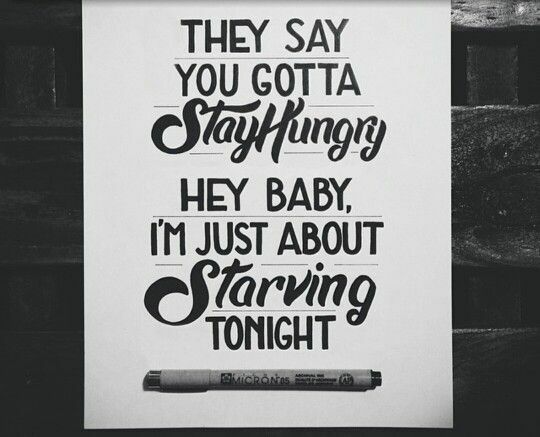 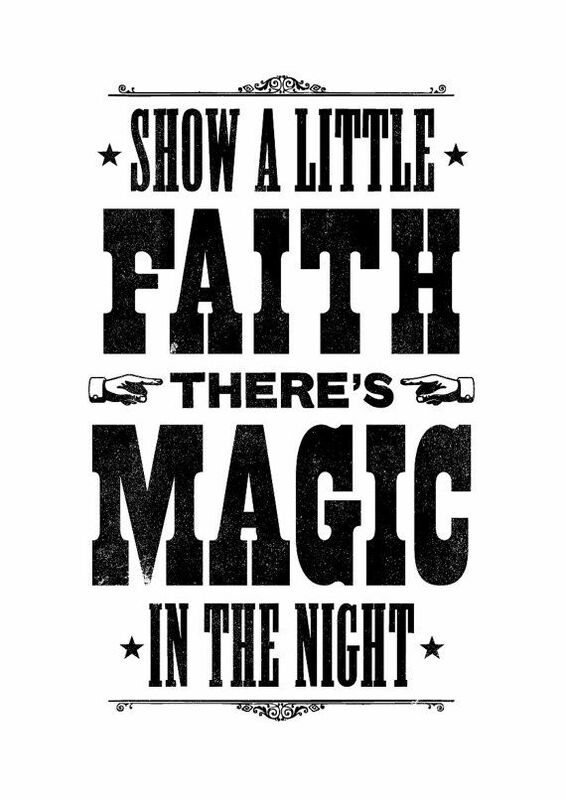 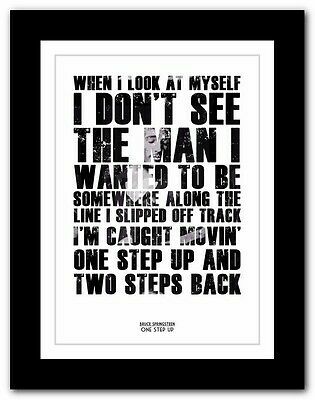 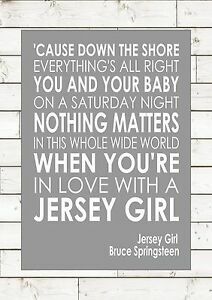 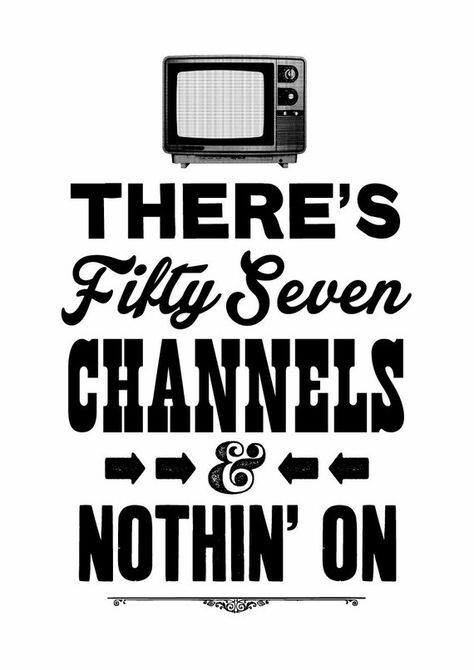 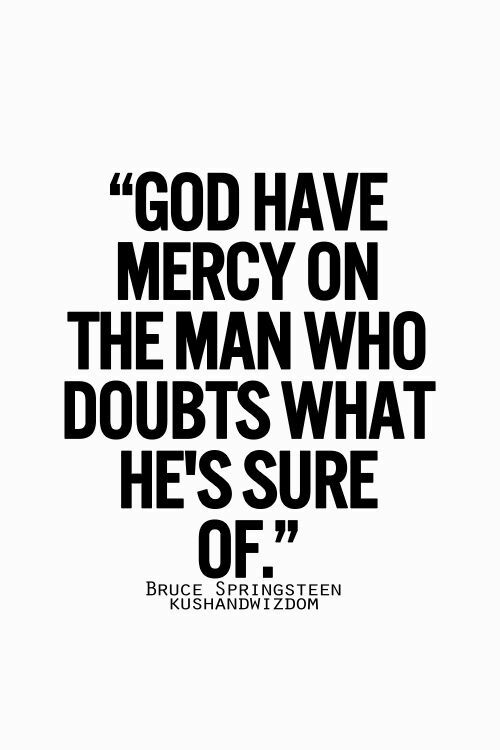 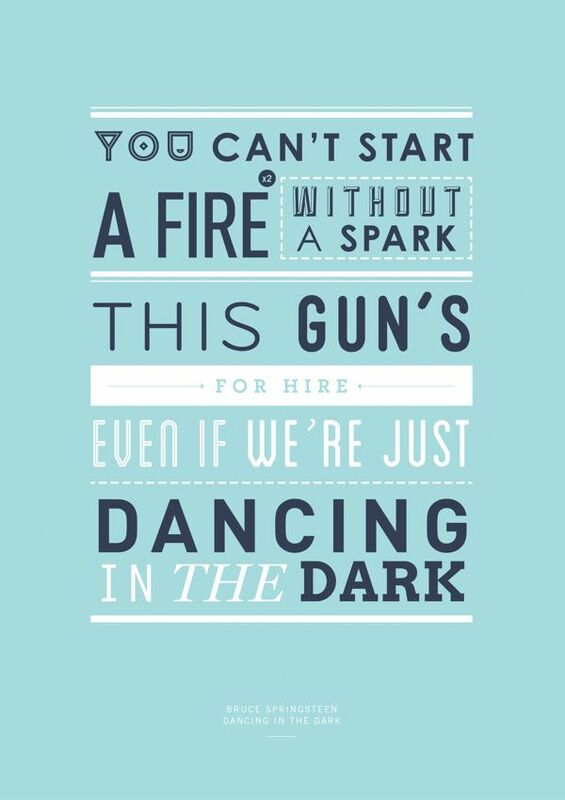 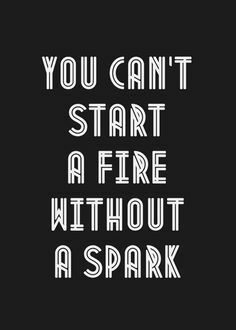 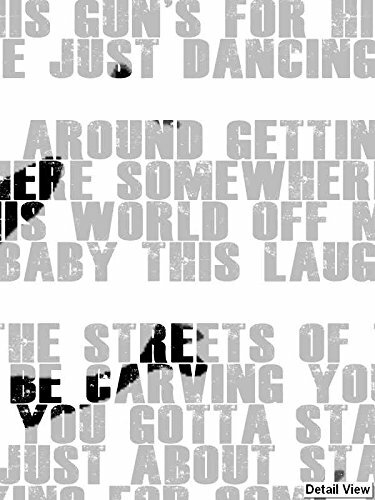 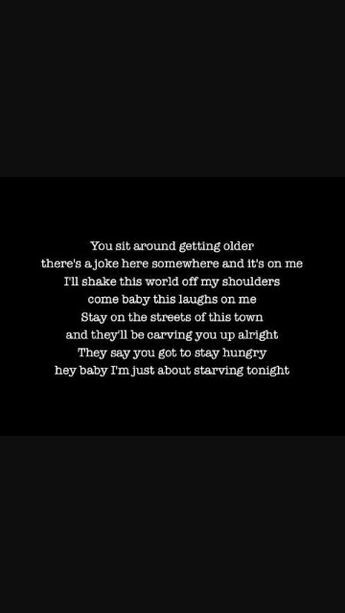 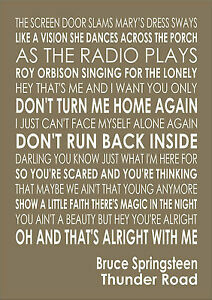 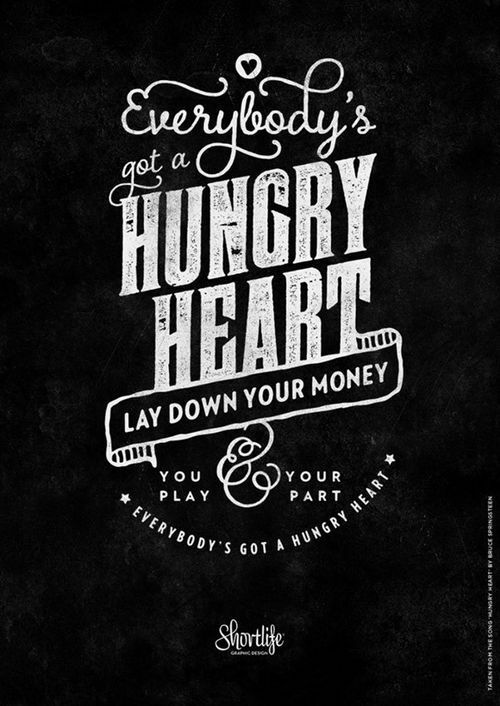 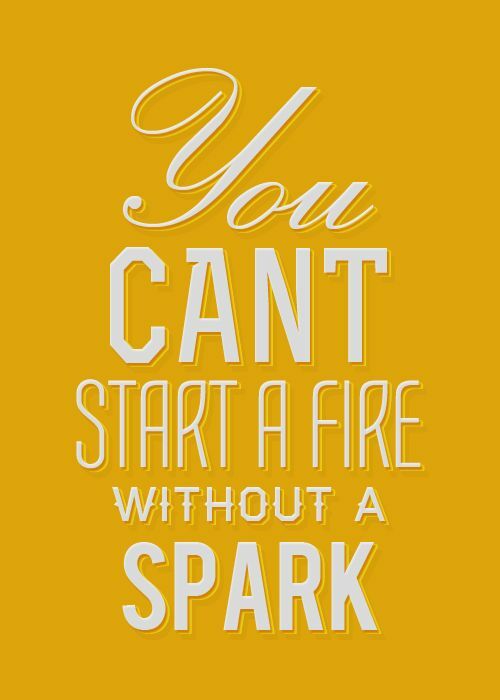 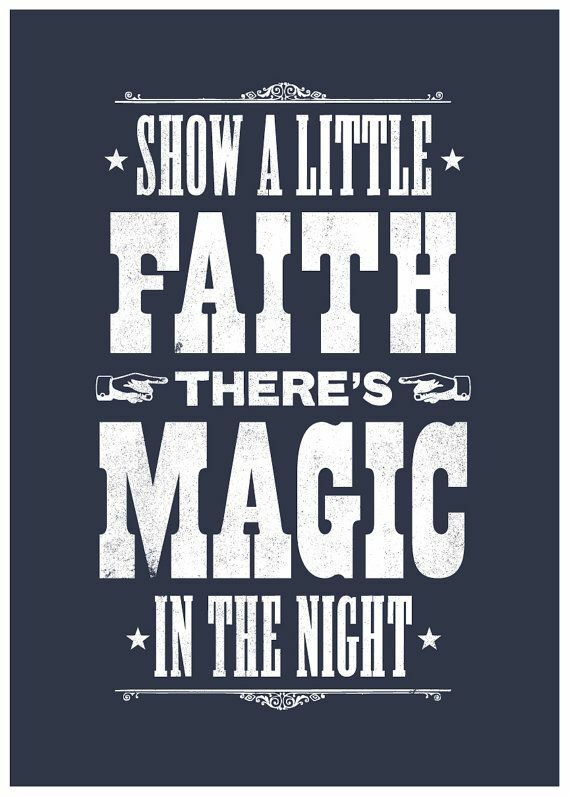 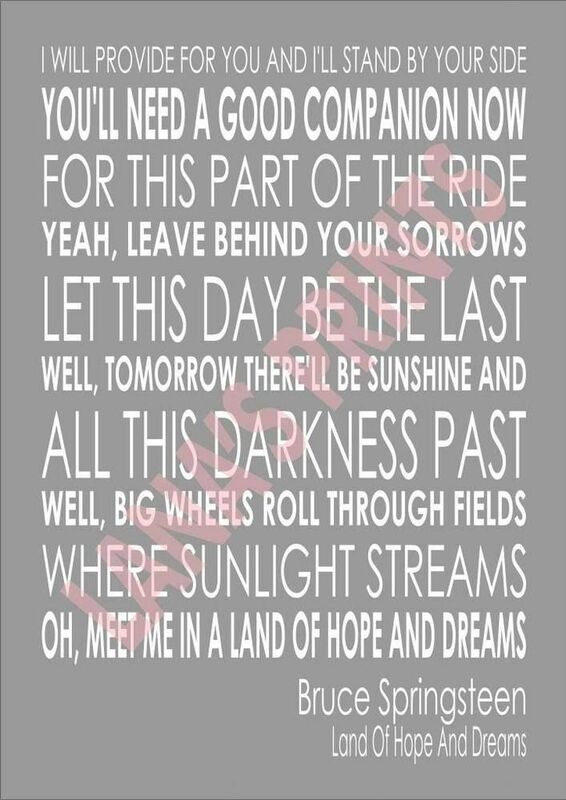 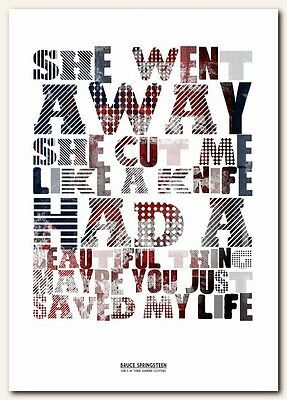 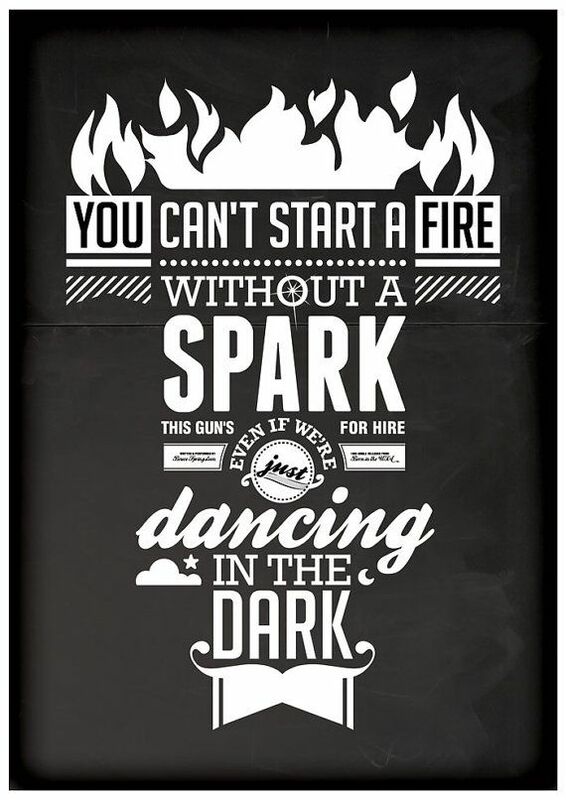 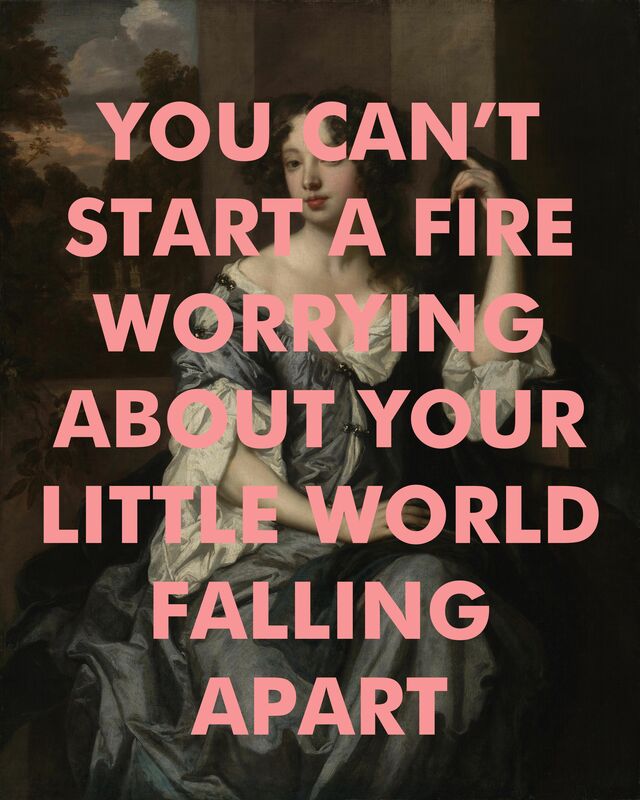 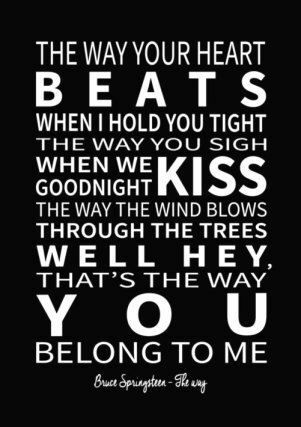 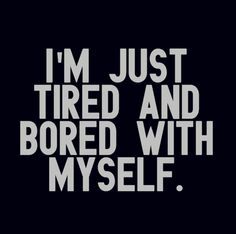 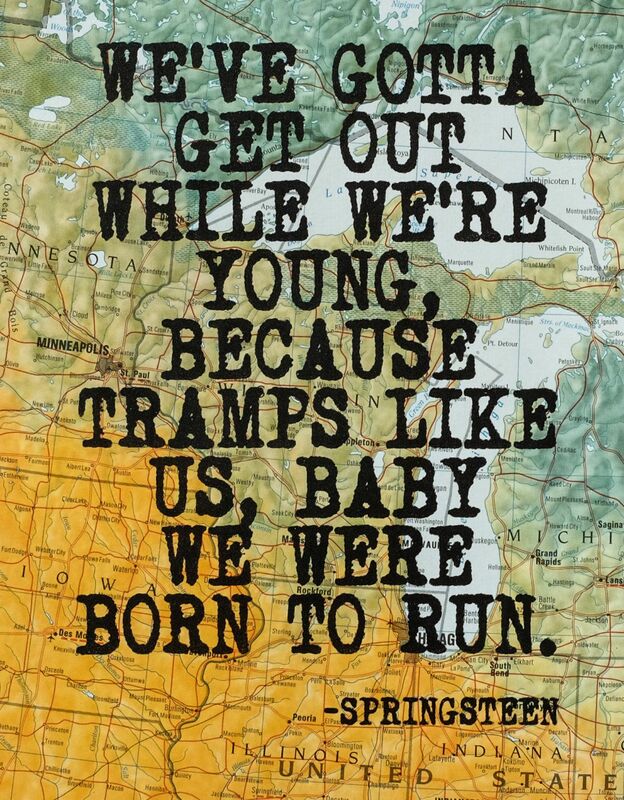 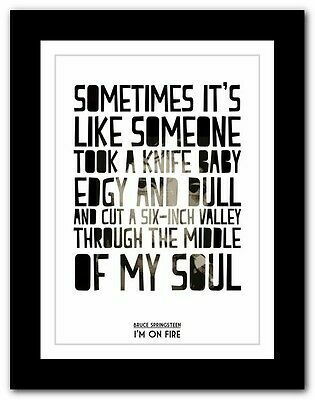 Lyrics from my favorite Springsteen song- Brilliant Disguise...just brilliant.